What is the most effective way to facilitate a smooth hand-off from UX and then support the developer team? I am actually fairly critical about separate user experience and developer tracks — being “dual-track agile” — and given my druthers I think the best way to incorporate user research and feature validation into product development is by systematically making UX a blocker to dev work. For this purpose, I prefer that UX and Development are literally on the same track. So, in agile-speak, as development hits the backlog, where it is estimated and fleshed out, part of that process requires checking whether the service or feature has been “validated” by existing user experience research. This necessitates maintaining a sort of research catalog you can check against. The idea is that work on Service X can’t begin until you can prove such a service has either demonstrable user need or that a change to that service — it’s flow, UI, or behavior — has been sufficiently tested. If the research exists in this catalog, then Yahtzee: move forward. If not, then new tickets need to be created in the system that perform the necessary research before work on that service can continue. One result of a system that enforces “discovery-validated delivery” is that discovery periods happen organically, as needed. 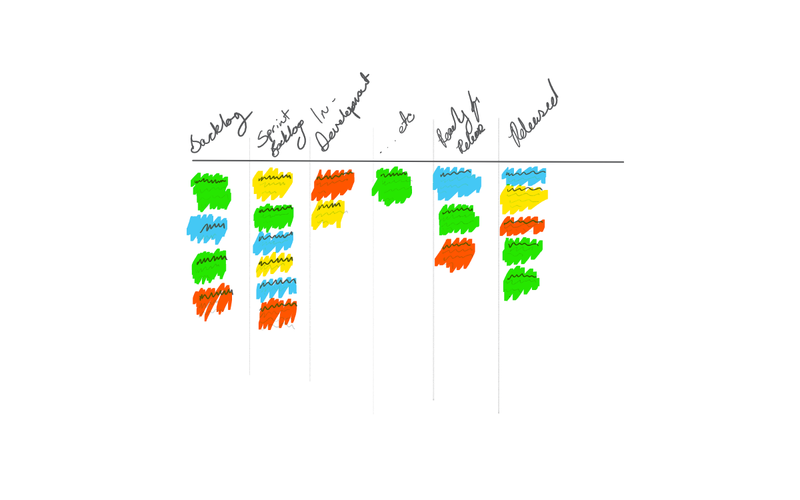 As the user research catalog grows, fewer discovery periods block work on the product. For instance, let’s say you’re starting a new product for which no research has been performed. All features of this service require validation or user research before they can move forward, so for each feature any number of research-related blockers are created, and a discovery period is organically begun that’s precisely as long as it needs to be based on the feature-set. Subsequently, when a feature from the backlog is ready and fully “validated” by existing user experience research, the developer inherits a feature that has specific, practical answers to questions about how it needs to look, feel, behave, and work. If the project manager or product owner has done their job, the developer has every thing they need to move forward. In other words. the best way for UX to help Dev through their process is by giving Dev everything they need upfront.